By simply requiring upper-income Americans to pay the same tax rate as middle-class families, Democrat Lisa McCormick says Social Security's benefits could be expanded, and its funding would remain in balance for decades beyond the longest projections. McCormick recently enlisted residents throughout New Jersey to help advocate her plan to require upper-income Americans to pay the same tax rate as the 94% of American working middle-class families who make less than $132,900 a year. McCormick says this adjustment will keep Social Security solvent in perpetuity. "Social Security is funded through deductions to everyone’s paychecks," said McCormick. "We pay in while we’re working, and then collect benefits when we retire but not everyone pays equally." McCormick, who is a candidate for Union County Surrogate in the June 4 Democratic primary election, has been calling for congressional action to make the nation's retirement system stable, solvent and secure. When she announced that Social Security benefits were increasing by 2.8 percent in 2019 and that the maximum amount of earnings subject to the payroll tax rose to $132,900 up from $128,400, McCormick was advocating 'Scrap the Cap,' which would include all income in FICA. "Increased payments to retirees will supercharge the American economy," McCormick said. "There was no Social Security increase in 2010, 2011 or 2016 and in 2017, Social Security recipients got an raise of only 0.3 percent. My plan would allow greater benefits, a lower retirement age and long term financial stability." A number of authorities have confirmed McCormick's plan to fix Social Security or proposed very similar approaches to the long term financial stability of the nation's retirement system. "As a former U.S. Secretary of Labor, I know that the American standard of living depends on the strength of our social safety nets," said Robert B. Reich. "This is why I’m impressed by Lisa McCormick’s proposal to save Social Security and insure long term solvency of the nation’s pension system." "While 94 percent of U.S. workers pay Social Security tax on every dollar in their paycheck, the very richest Americans avoid Social Security taxes on most of their money due to the program's cap on taxable earnings," said Reich. "To correct this, she recommends that we ‘scrap the cap’ so very wealthy Americans contribute to Social Security at the same tax rate as the rest of us. I completely agree." Reich is the Chancellor's Professor of Public Policy at the Goldman School of Public Policy, University of California, Berkeley. McCormick discussed her Social Security proposal with Reich during a telephone conversation on April 11 and in an exchange of email messages. McCormick's plan to fix Social Security has also been emulated or embraced the Economic Opportunity Institute, Social Security Works, the National Committee to Preserve Social Security and Medicare, the United Steelworkers, Americans for Tax Fairness, Patriotic Millionaires, Senator Bernie Sanders, Senator Elizabeth Warren, and others. New Jersey Democrat Lisa McCormick said she supports the Working Families Tax Relief Act of 2019, which was recently introduced by Senators Sherrod Brown and at least 45 cosponsors. "The Working Families Tax Relief Act would boost the incomes of 45 million households and 114 million people, including 43 million children," said McCormick. "As more and more people are recognizing President Trump’s Republican tax scam as a handout to millionaires and billionaires at the expense of working families, it is time to put money in the pockets of workers and families." Building upon the proven success of the Earned Income Tax Credit (EITC) and Child Tax Credit (CTC), this game-changing legislation would give a bigger EITC to hardworking parents and ensure that all low- and moderate-income families fully benefit from the CTC. "The proposed law would also expand the CTC for very young children and provide much-needed tax relief for families in the shrinking American middle class who are losing ground as a direct result of tax laws, government spending decisions and policies that favor the very rich," said McCormick. "It would also help low-wage workers without children who are paying too much in taxes in order to subsidize the super wealthy." McCormick said she is proud to join more than 80 national organizations that have thrown their support behind the Working Families Tax Relief Act. "The Working Families Tax Relief Act is a step towards putting the American dream back in reach for more families," said Chris Hughes, Co-Chair of the Economic Security Project Action. "At a time when so many are facing the rising costs of living and childcare with stagnant wages, refunds like the Child Tax Credit and Earned Income Tax Credit can provide a safeguard for at-risk families across the country. Expanding these programs would be progress toward ensuring these benefits reach even more hard-working Americans." "Despite headlines touting America’s booming economy, the reality is that millions in the US are living in financial uncertainty," said McCormick. "Millions of families are either struggling to make ends meet. Forty percent of American households lack a basic level of savings, leaving them just one emergency away from a financial disaster." After General Electric (GE) agreed to pay a civil penalty of $1.5 billion under the Financial Institutions Reform, Recovery, and Enforcement Act of 1989 (FIRREA) without making an admission of liability, Lisa McCormick, a progressive Democrat in New Jersey, has objected to letting corporate criminals elude justice by paying fines without admitting guilt, because ordinary people would be sentenced to prison for decades while businesses continue collecting tax breaks, subsidies and government contracts. "Corporate criminal prosecutions are in decline," said McCormick. "The Department of Justice's policy on prosecuting corporate criminals does not serve the public interest. A GE subsidiary originated more than $65 billion in mortgages between 2005 and 2007, most of which contained elements of fraud, then passed the buck to unwitting investors, but nobody is going to jail for these crimes." "I strongly support legislation that Sen. Elizabeth Warren introduced to make it easier to jail the chief executives of big corporations who allow fraud or other forms of corporate crime," said McCormick. "Corporations don’t make decisions, people do, and we cannot allow the rich to buy limits on criminal liability if we are going to have justice for all." "With total assets over $309 billion and revenue in excess of $121 billion in 2018 alone, GE is not going to learn anything with a $1.5 billion paltry fine," said McCormick. "Last week 44-year-old Stephan Byrd, of Vineland, New Jersey, was convicted on three counts of bank robbery worth less than $25,000 but he faces a combined mandatory minimum sentence of 24 years in prison and a potential maximum sentence of life in prison." Investors, including federally insured financial institutions, suffered billions of dollars in losses as a result of WMC’s fraudulent origination and sale of loans for inclusion in residential mortgage-backed securities. GE got into the subprime lending business at the height of the boom in 2004, buying WMC, which originated more than $65 billion in mortgages between 2005 and 2007. GE got out of the subprime business in 2007, selling off WMC after the bubble burst and it misrepresented the quality of its loans, which were sold to investors as part of residential mortgage-backed securities. In March 2006, WMC reviewed a representative sample of the 1,276 loans it had repurchased in 2005, and concluded that 78 percent of the loan files reviewed contained at least one piece of false information. "Someone needs to explain why a bank robber who gets less than $25,000 faces 24 years to life in prison, while an industrial conglomerate that originated more than $65 billion in bad mortgages gets to pawn off its problems, pay a settlement worth one percent of last year's sales revenue and keep getting government contracts worth more than the fine," said McCormick. "That sounds like justice for some, but not others." Lisa McCormick said she supports legislation that takes critical steps to ensure businesses have more resources to prevent harassment and workers have more support when they seek accountability and justice, known as the Bringing an End to Harassment by Enhancing Accountability and Rejecting Discrimination (Be HEARD) in the Workplace Act. 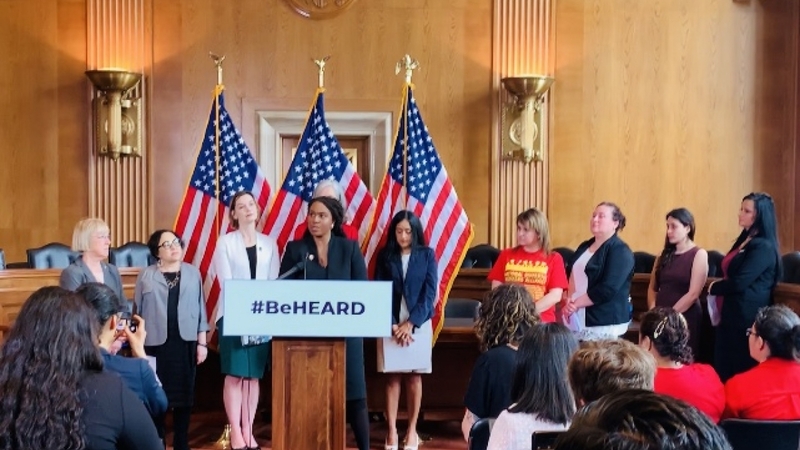 "The Be HEARD in the Workplace Act sends a clear message to those who think they can get away with assault or harassment on the job," said McCormick. "Your time is up." The measure was introduced last week by Senator Patty Murray (D-WA) plus Reps. Ayanna Pressley (MA-07), Katherine Clark (MA-05), Elissa Slotkin (MI-08), and Debbie Mucarsel-Powell (FL-26). “This legislation is one way of saying 'time’s up: no more silence, no more compliance, no more injustice' to those who prey on women at work," said McCormick. "For too long victims of the wealthy, the well-connected and the powerful have been denied protection, but when this becomes law, it will restore accountability and remove barriers to justice." Democrats announced the introduction at a press conference with survivors and advocates who shared their personal stories about workplace assault and harassment, and leaders from the National Women's Law Center (NWLC), The Leadership Conference on Civil and Human Rights, and the American Civil Liberties Union (ACLU). Progressive New Jersey Democrat Lisa McCormick responded to Senator Cory Booker's staged performance in a town hall forum televised on CNN. "Senator Cory Booker always sounds good but my concern with Cory is his relationship with the truth," said McCormick. "Frank Bruni, the New York Times columnist commenting on the show claimed Booker has a 'near perfect resume' after calling him 'extremely charismatic' but fawning over politicians allows them to escape responsibility for the lies, deceits and betrayals we all feel when the show is over." "Asked how he would fix Social Security so that millennials can retire, Booker said, 'Having changes to that cap on Social Security would more fully fund Social Security' but a more genuine progressive would have asserted that we must scrap the cap," said McCormick. "I agree with Senator Booker's statement that, 'Fixing Social Security is not as complicated as some would make it' but the wiggle room he left makes me doubt his commitment to eliminating the tax cap that lets people making millions or billions of dollars pay no more than someone earning $132,000 a year." "The way to fix Social Security is to scrap the cap, entirely and unequivocally," said McCormick. "I was disappointed to hear the eradication of a bad thing termed 'having changes to that cap' because it does not need 'changes' -- it just needs to be scrapped." "Booker also said he turned Newark around but life for ordinary people has not improved," said McCormick. "People in Newark had to fight against Booker when he wanted to privatize the public schools, or sell off municipal water assets or illegally appoint a political ally to a vacant City Council seat. He was an absentee mayor who collected post-resignation paychecks from a law firm that he rewarded with city contracts, earned millions in out of town speaking fees and exploited residents while co-starring in YouTube videos with Republican Chris Christie, billionaires Mike Bloomberg and Mark Zuckerberg, or crooked political bosses like 'slave-catcher Joe' Divincenzo." "Senator Cory Booker is a fraud, but once again Americans have been treated to entertainment instead of hard news," said McCormick. "Senator Booker and almost every other opportunistic neoliberal pursuing the Democratic nomination for president is merely hindering the likelihood that Senator Bernie Sanders, the presumptive Democratic nominee and commanding front runner, will have of defeating Republican President Donald Trump." "Senator Booker and the other neoliberals have sought to rob Senator Bernie Sanders' progressive agenda, but they should clear the Bernie's path to the nomination so we can have a united Democratic effort focused on the president," said McCormick. "In 2012, Senator Cory Booker said he would not indict private equity, which is like saying he approves of greed. In 2018, Senator Cory Booker endorsed a Democratic Senator who was indicted by the Obama administration instead of a progressive alternative. Now, Senator Cory Booker is a champion of greed who is running against a champion of the people." "I may be the only one saying it, but Senator Cory Booker is a fraud," said McCormick. 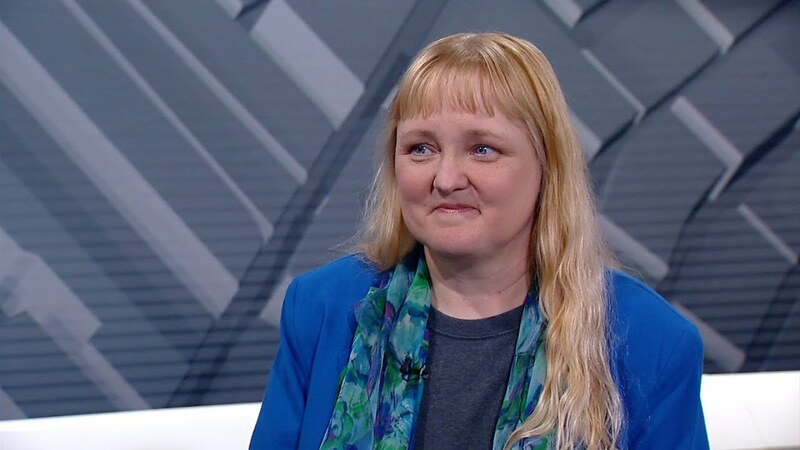 Lisa McCormick is urging Garden State residents to attend one of the barnstorm events taking place all over New Jersey in conjunction with the national 'Medicare for All' week of action. McCormick said at least four New Jersey Barnstorm events have been scheduled. The first one will be held February 09, at 11:00 AM in the Long Branch Free Public Library. The second is scheduled for February 10, at 2:00 PM at the First Congregation Church in Montclair followed by another on February 13, at 5:30 PM in the Labor Education Center Auditorium at Rutgers University. McCormick said the last one is slated for February 14, at 7:00 PM in the Bridgewater Public Library. "These events are taking place all across the country for the national Medicare for All week of action from February 9th-13th," McCormick said. "New Jersey has a special part to play, however, because one of our congressmen is chairman of the Energy and Commerce Committee, which has jurisdiction over health care." McCormick said organizations throughout America are partnering with National Nurses United to launch a nationwide campaign to pass Medicare for All in Congress. "We kicked off the campaign earlier this month by urging people to call your Representatives to ask them co-sponsor Rep. Pramila Jayapal's Medicare for All bill," McCormick said. "People can still call your representatives in Congress now by dialing 202-858-1717." "The Medicare for All proposal introduced by Rep. Jayapal is similar to one sponsored by Senator Bernie Sanders," said McCormick. "These measures would reduce the total cost of health care for the nation, make sure every American has insurance coverage and improve the quality of life for anyone who would otherwise go broke, suffer or die because of high prices." 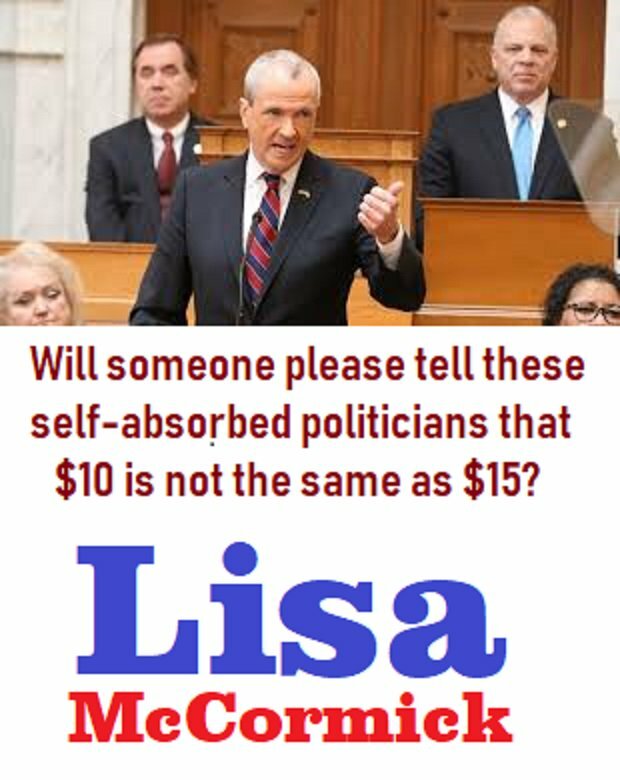 Citizens can also email McCormick anytime at lisa@njdems.com to learn more about how to get involved. "Barnstorm is a term derived from touring theatrical performances, originally often in barns in rural parts of America, that has become as part of a populist political campaign or movement," said McCormick. "Barnstorming to support Medicare for All will help people better understand what this can mean for America and mobilize an army of volunteers to put pressure on Congress, which is too often heavily influenced by money instead of behaving like our representatives." Governor Phil Murphy, Senate President Steve Sweeney and Assembly Speaker Craig Coughlin have agreed to give New Jersey a $10 an hour minimum wage and call it a $15 minimum wage, but progressive voters know this is a broken promise that puts the super wealthy ahead of the 99 percent of Garden State residents who work for a living. This should not come as a big surprise, since Governor Murphy and lawmakers also welched on promises to legalize pot, establish a state bank and restore the millionaires tax. No one in New Jersey should be working full time yet have to live in poverty, so the $10 an hour minimum wage is a pitiful alternative to a real $15 minimum wage, which amounts to a difference of $20,800 a year and $31,200 a year. This powerful trio failed to fulfill his obligation for the thousands of minimum wage workers who were promised $15 an hour, but people need to know that Murphy, Sweeney and Coughlin handed out pay hikes of up to $34,000 to hundreds of judges and his senior government staff. Those $34,000 pay hikes exceed the total income of working people who labor for $15 an hour! In June of 2016, the New Jersey Senate passed legislation that would have made New Jersey the third state to adopt a $15 per hour minimum wage. The measure approved by these lawmakers and sent to former Republican Governor Chris Christie would have given New Jersey a $15 per hour minimum wage by 2021, six years sooner than this proposal provides some workers. New Jerseyans are getting used to broken promises and lies, but political deceipt is just as unacceptable from liberal Phil Murphy as it is when con-man Donald Trump does the same thing. As voters, we must hold our elected officials accountable! In June, progressive Democrats should mount a primary challenge against every Assembly incumbent, and win those elections to raise minimum wage to $15 an hour. Democrat Lisa McCormick is calling on New Jersey Transit to transition its entire fleet of buses to all-electric vehicles because it could save money in the long run, reduce ill health and significantly cut greenhouse gas emissions. "If we reduce toxic air pollution that New Jersey Transit creates each year, we would see a corresponding reduction in public health hazards," said McCormick. "Along with the critical need to reduce greenhouse gas emissions as part of our fight to reverse the deadly consequences of climate change, this is a wise investment NJ Transit should pursue vigorously and without delay." McCormick said a transition to electric buses for NJ Transit could avoid climate-changing and local air pollution each day without losing reliability. Noting that the Port Authority of New York and New Jersey has agreed to procure 18 Proterra Catalyst E2 vehicles for shuttle service at John F. Kennedy International Airport (JFK), Newark Liberty International Airport (EWR) and LaGuardia Airport (LGA), McCormick identified a postential source NJ Transit could use to purchase similar buses. "New Jersey’s share of the federal Volkswagen settlement should be sufficient to acquire about 100 zero-emission and low-emission electric transit buses, which can each save an average of $46,000 per year compared with the cost of operating diesel vehicles," McCormick said. "Nationwide, just 0.2 percent of the nation’s nearly 70,000 commuter buses run on all-electric engines and sadly, none of them are in NJ Transit’s fleet of 2,200 vehicles," McCormick said. "Reducing the number of cars Americans operate makes sense for our environment, the livability of our cities and our bank accounts. Smart transportation policies can alter the way that people commute, shop and travel, but we must be serious about solving the challenges of air pollution and climate change." There are more than 15,000 electric vehicles on the road in New Jersey, far less than in other states in the Northeast, so McCormick is also calling for more publicly available charging stations. "Diesel exhaust from buses poses a public health risk because they travel where there are lots of people, where inhaling diesel exhaust can cause respiratory diseases and worsen existing conditions such as asthma," McCormick said. "New Jersey’s transportation discharges account for 42 percent of the state’s greenhouse gas emissions and vehicle exhaust is the single largest source of ground-level ozone pollution, or smog." Women across the nation are expressing anger that the Violence Against Women Act (VAWA) has lapsed for the second time in 25 years, another casualty of Trump's government shutdown. Authorization for the law’s programs expired when the partial government shutdown began just after midnight Friday. The shutdown, which is affecting over 800,000 federal workers, forced VAWA to expire because the law’s programs are funded under the Justice Department. "The landmark domestic violence law was set to expire Sept. 30, but it was extended through Dec. 7 by the first stopgap spending bill and extended again until Dec. 21 in a second short-term bill," said Lisa McCormick, one of New Jersey's progressive Democratic leaders. "As a result of President Donald Trump's temper tantrum, the Violence Against Women Act has expired." Women participate in a protest march for survivors of sexual assault and their supporters in Hollywood, Los Angeles. As part of a sweeping upgrade to her campaign operations, Lisa McCormick rolled out a new ActBlue donation form this week, converting a significant portion of her fundraising to the fast lane for turning small donations into major league money. ActBlue has helped progressive Democrats and organizations raise money on the Internet since June 2004, by providing them with online fundraising software. Its stated mission is to "empower small-dollar donors" but ActBlue is doing more than that by allowing those donors to invest in candidates like McCormick, who eschewed the influence of wealthy contributors and instead waged a people-powered campaign that garnered 160,000 votes last June. ActBlue, the massive Democratic online fundraising platform, generated $1.6 billion from 4.9 million unique donors for 14,820 different Democratic candidates and causes during the midterm election. "Small donations are key to my fundraising strategy, and thanks to ActBlue, my people-powered campaign will be able to tap into the platform that carried almost 60 percent of dollars from individual contributions to Democratic candidates," said McCormick. "As an ordinary working class American who proudly pledged to accept No Fossil Fuel Money and No NRA Money, individual contributions are far more important to me than they are to the kind of mega-fundraisers favored by super PACs and Wall Street billionaires." McCormick said she is working to 'build a bigger team' that will be able to broadcast her plans for reducing the corrupt influence of money in politics, establishing universal health care, and investing $5 trillion in America's infrastructure in order to transition the 21st century economy to address the scale and urgency of the problems facing our planet, such as climate change, nuclear instability and increasingly unstable oceans.